Our flagship model, The Two Meter J-Pole Antenna comes in two different configurations, either as a one piece antenna for base station use, or as a two piece breakaway model great for portable operations. The J-Pole makes a great base station and emcomm emergency communications amateur radio and scanner antenna. 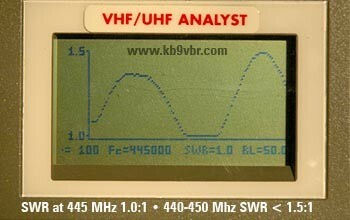 Works well with handheld HT radios, base stations, and repeaters. Ruggedly constructed one piece design, this J-Pole antenna will last practically forever. Copper has an extremely low electrical resistance, making it one of the most efficient materials for RF radiation. Omnidirectional RF radiation pattern is balanced for communicating with stations at or slightly above the horizon line. There are literally hundreds of antennas on the market, what makes this antenna any better than some of the higher priced you’ve seen or experienced? The simple answer is that it just plain works great. 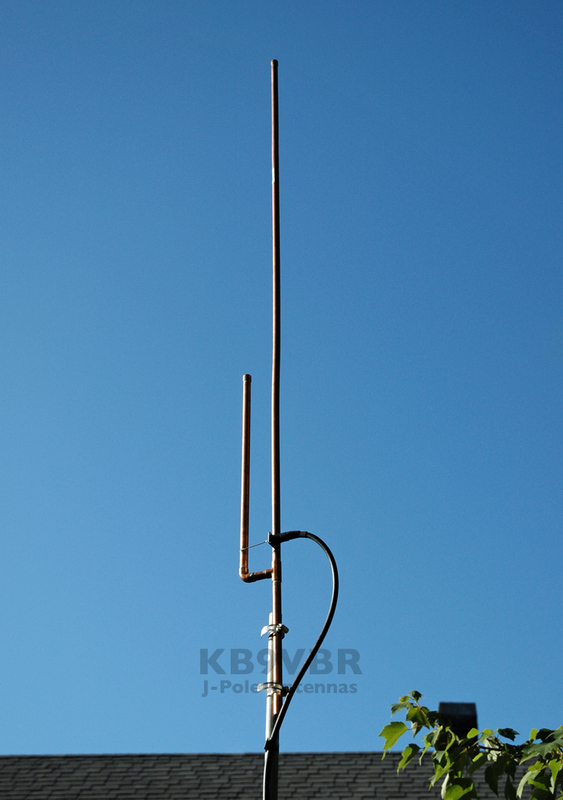 Dollar for dollar, the KB9VBR J-Pole antenna may be the best value on the amateur radio antenna market. Each antenna is individually tested and tuned for optimum performance on their respective bands. The two meter antenna is tuned to 146MHZ (1.2:1 SWR or less at 146MHz), and the SWR is 1.4:1 or less throughout the entire 2 meter band. This antenna also works great as a dual band antenna. 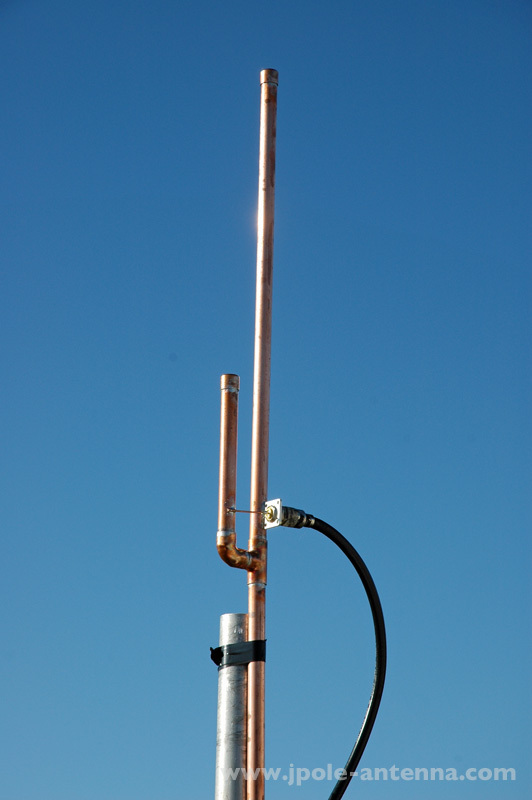 The antenna will tune up on 70cm for excellent dual band performance. I purchasedd this product after seeing one in use. I am amazed by the construction and functionality! I placed it on the roof of my home. It was an easy install. Clamped to the sewer vent pipe with hose clamps. It is hard to see after I gave it a coating of flat black paint. 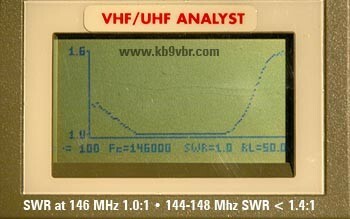 I have reached repeaters as far a FIFTY FIVE miles away using a 5 watt HT. I highly reccomends this J-Pole antenna. I started using J-Poles in the 1990’s and still have one today. For all around performance with omni-directional coverage this is a very tough design to beat. I had mine mounted at the top of a 60′ tower above the Mosley Pro 67b. From my South Florida QTh on the east coast of Florida I could access repeaters in Tampa, Fl about 200 miles West of my QTH. For anyone new to ham radio or otherwise not famaliar with this antenna the J-Pole is the best value for the dollar on the market and mostley overlooked because it is not published in the mainstream Catalogues. For those of you lucky enough to find this manufacturer, you are in the right place! 146.000 center frequencies and is it possible to ship to Dominican Republic. I’ve had a lot of issues trying to set up a 2 meter antenna where I live, still trying though. I like the Jpole you advertise but I’m wanting to get one for a vehicle 2 meter radio and am unsure what type of connector I’d need. I bought a 2m J-Pole one year ago & had fantastic results from it. The bottom of the antenna is up about 20 feet from the ground. On 2m, the SWR was flat right across the entire band. For curiosity, I checked it on 440, even though in my area 440 repeaters are banned due to Pave Paws. The SWR was pretty much flat across 440. On 2m, I expected to hit just the local repeaters that were about 20 miles away. Was I wrong! I get onto repeaters much further away than that. It performs almost as well as my old Diamond X510 did before I sold it. I couldn’t do a direct comparison check but from memory, it seems about the same. What a surprise to me! I always planned on using a mag mount antenna on a cookie sheet if I ever had to down-size to an apartment. I don’t think so now. I think maybe if I were to clamp it to the leg of a table or shelf it would be my 2m/440 antenna. I made a comparison between a 2m/440 mag mount on a cookie sheet with this J-Pole. I think there was about 2 S-units difference between them. Overall, I am very pleased with my purchase & would recommend this company to anyone looking for a ready-made J-Pole. It’s a real performer even at low heights like mine. The settings on this antenna was perfect. I didn’t touch anything. If it ain’t broke don’t fix it. I slung this antenna up in a pine tree (using a slingshot and rope to hoist it) the day I received it . It was a huge improvement over the 5/8 wave mag mount on top of the gas grill on my deck. I have since permanently mounted it on the roof and I am hitting repeaters 50-60 miles away with an 8 watt HT. Reports from 20-30 mile repeaters are that I am pinning the needle. There was an improvement, but not a dramatic difference between the pine tree and roof mount location, so if you can’t get it up on the roof, sling it up in a tree and you will be very happy with the performance of this antenna! Great antenna. 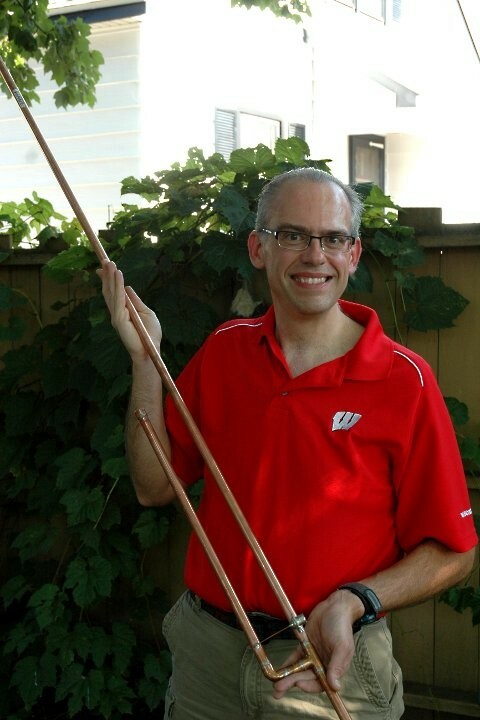 I purchased this antenna from Michael and have been using it in a HOA-restricted community–it is great for low profile, but high performance on both the 2 meter and 70 cm bands. I am hitting very distant repeaters consistently, in spite of being in a tightly-packed residential area with homes and trees presenting obstacles to overcome. But with my little Yaesu FT-8800/R base station and Michael’s J-pole, I have been reported as “booming in” with full quieting–even at the lowest power setting. I also have to commend Michael’s commitment and availability for customer support. I am a new ham operator and had lots of questions answered–which enabled me to come up with the best solution for a “stealth” mounting of the j-pole. I couldn’t be happier! Thanks Michael! I purchased the 2m jpole. Due to HOA restrictions and a “concerned” wife, I elected to install the antenna in my attic. I started by mounting a small “dish network” type post to my attic framing. Then, I secured the jpole to the post. The top of the jpole is approximately 20′-0″ above grade. Using just 5 watts I was able to reach repeater approximately 40 miles away. 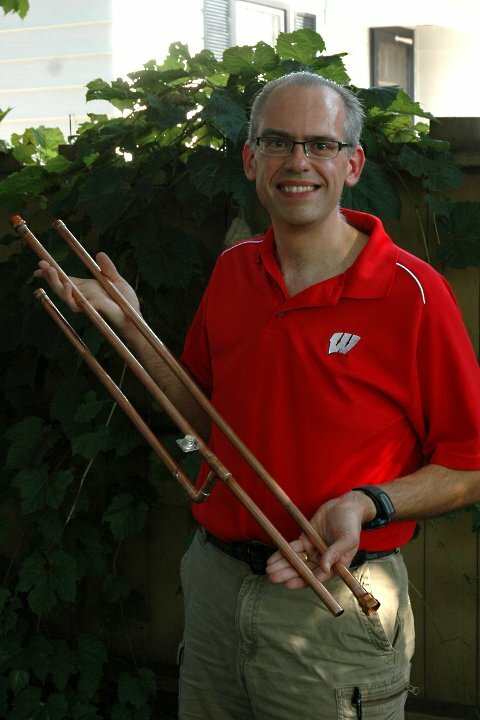 The antenna Mike sent me was very well constructed and the price was fair. I would definitely recommend this product to others. I’m heading up in the attic soon to see if I can find clearance for the 6m jpole. I Bought one of these 2m antennas and it works great not just on 2m but very well on 70cm as well. I mounted it up 20ft and so far has made a world of difference. The antenna is built very well all components are well constructed. And to note very reasonable on pricing with out a doubt for the performance and workmanship that it offers. Bought the breakaway J pole and worth every penny and then some. All as advertised; good quality product, works well; very satisfied.